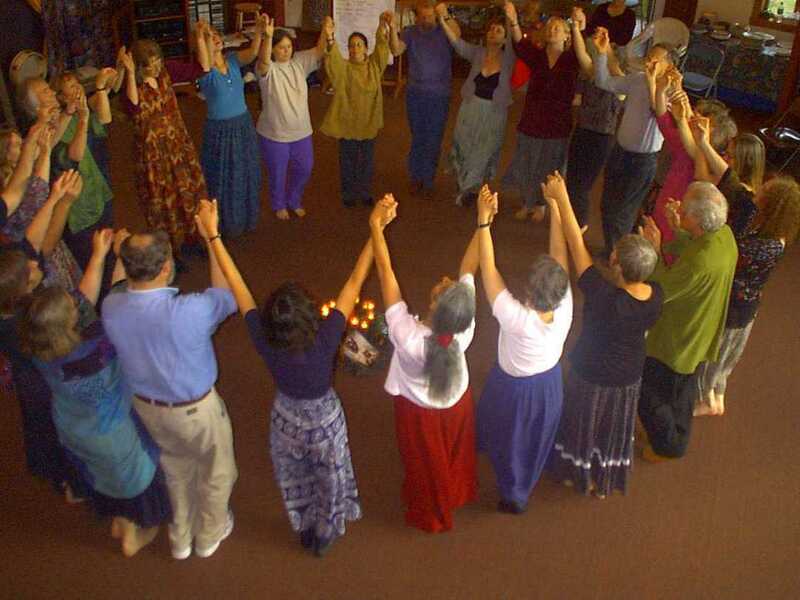 Home » News » Sacred Circle Dance Returns! The first Sacred Circle Dance of the year is the Sunday, September 30 at 6pm in Scott Hall. Dancers gathered in a circle, hands raised together.